But heck, if someone would have told me we were gonna run 273 rushing yards against the top 5 running defense while our defense limit Zeke to 47 rushing yards. Who would have believe this ? But this win doesn't erase my concern about Goff and the passing game. 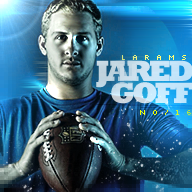 We were lucky the running game was efficient and that we didn't need Goff to win the game. This might work against the Eagles but against the Saints, it's another story. This Hit set the tone and broke Zeke. These guys are literally paid to be obnoxious attention seeking trolls and the more attention they get for trolling the more likely they are to keep their job. Just sad. If this clown was a poster on this board he probably would have been permanently banned by now lol. Cowboys had 10 plays on 3rd down and gained 32 yards on those plays going 1-10 on 3rd down. That's your game right there. Yeah, that's why I don't get the Rams fans who were laughing about the crap Skip Bayless will take on his show. I don't think people understand that it's all an act. By tuning into his show and disseminating his tweets, they're making him rich for acting like an ignorant doofus. I like Stephen A. Smith a lot, but you're right. If he had posted that on this site, Webby would have pulled out the ban hammer and come down hard on him. That performance doesnt erase your concern? 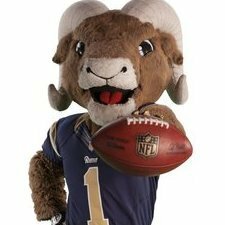 Ive been saying that if the Rams commit to the run they can run on anyone. Now the Rams have two very much capable backs and the Saints just lost Rankins who one of the best defensive tackles in the NFL. The Rams are going to do to the Saints exactly what they did to the Cowboys. The same Saints team that allowed 5.9ypc to Gurley in Week 9. The problem was the Rams got down by 21pts and had to abandoned the run. So if you are telling me thats going to happen again then sure. I dont think its going to happen again just like the Eagles getting beat 48-7 didnt happen the second time around. 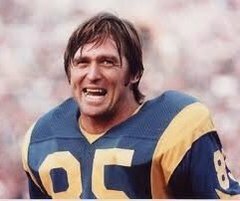 The Rams are going to come out to play and they have two added dimensions they didnt have Week 9. One is Talib who is going to shadow Thomas. He is a better matchup to defend Thomas in the same way Johnson was last season when he held Thomas to 5 catches for 53yds. A big physical corner that can press you. Peters isnt that type of player, plus with Talib on the field it gives Peters confidence and Wade confidence with his guy out there in Talib. The other dimension is Anderson. The Saints only have one game tape of Anderson and Gurley together. I believe McVay has more up his sleeve for this game in using both those guys together. Again not having Rankins is huge and as soon as I told my friend Rankins tore his achillies my friend legit got more worried than he already was about this game coming up. I expect the Saints to play better than they did on Sunday against the Eagles but Im encouraged by the performance by Suh even with Donald being quiet. If Suh and Brockers can bring that same game and I know Donald is going to bounce back, they can slow the Saints offense down. I dont think the Saints will shutdown the Rams rushing attack. McVay has seen the light and he is going to pound the rock until the Saints stop it, if they can this time around. I'm not surprised. Doom and gloom seems to be your default setting. I totally agree with that. Makes me think of when Smith hit Kamara in the when the Cowboys played the Saints. Now that hit was illegal but it showed everyone how dominant the Cowboys were against the Saints. The hit Fowler put on Zeke was legal but that showed how dominant the Rams were against the Cowboys. They werent playing around and if they can bring that same intensity to the Saints game, which I believe they will, the Rams will put themselves in great position to win the game. ?? How to upload it? I use this.